I was so excited to come home for Christmas Break this year because I thought it meant that I would finally have a lot of catch up time for my blog! I had such a busy semester in general between tough classes and a generally busy daily schedule, my first time going through the "other side" of sorority recruitment, taking babysitting jobs when I could, interning, and more! Blogging regularly on top of all of this was hard, and more often than not my blog took the back burner to everything. But sadly, blogging will have to be put on hold for most of my Christmas Break as well. Upon arriving home I dealt with some unexpected computer issues, and my laptop had to be sent into a computer repair place (I am fondly calling it "gone to the doctor"). The place that it went to is one of the best in the area that I live in, but they were a bit backed up due to the holiday season, and I probably won't be getting my laptop back until right before I leave to go back to school. This means that for the duration of my month at home I have been/will be using my good ol' HP laptop from my freshman year of high school. It's half a miracle that my old computer still even turns on (it had a lot of issues back in the day which is what lead my parents to eventually get me a MacBook), and to say that it hates Blogger would be the understatement of the century. I have been having so much difficulty writing posts, and I don't even want to think about uploading photos onto it.... so I think it would just be safer if I took some time off from blogging until my main computer returns to me! For some good news though- those of you who follow me on Instagram (@miss_alk) know that I got a very big Christmas present this year- a beautiful Canon DSLR camera!! I am so excited! This is something that I have wanted for a long time, especially to help take my fashion blogging to the "next level." :-) In the next few weeks I'm going to be trying to learn as much about my new camera as I can before going back to school, and then hopefully once I get my laptop back I can upload all of the pictures that I've taken while being home to share with y'all! Guest post: Charlotte's Exciting Growth. As the second-fastest growing city in the country, and the fastest on the East Coast, Charlotte is an exciting place to live and work. As younger populations move out of rural areas and into the cities, Charlotte continues to grow and expand, offering a friendly business climate, thriving nightlife and diverse cultural scene. A quick look at all that Charlotte offers shows that there's little to dislike about the growing city. What makes Charlotte such a fun city? For many it is the many different things to do. Whether you are a sports enthusiast, love the arts or want to party into the night, you will find that Charlotte makes it possible. For those who love active sports, or love to watch their favorite teams play, Charlotte does not disappoint. When the Hornets season starts, the city rallies behind their NBA team. It's not uncommon to see people on the streets of Charlotte with Hornets jerseys or hats as they cheer on their favorite players. Of course, you may prefer a more active sports experience, and Charlotte offers this as well. For those, the U.S. National Whitewater Center may be a place to visit. With facilities for all types of water sports, as well as ropes courses, zip lines, canopy tours and mountain bike trails, the USNWC provides active Charlotte residents a facility to pursue their favorite activities. Charlotte is also known as a city that values art. From the Levine Center for the Arts to the NC Blumenthal Performing Arts center's live performances, you will find artistic expressions and venues, as well as local artists and galleries, for every taste. When the sun sets, Charlotte comes alive with an active nightlife that keeps residents entertained well into the early morning hours. Bars, clubs, lounges and live music venues and even bowling allies keep residents entertained throughout the night. You will be able to find a venue to match almost every taste and budget. With all that Charlotte has to offer, it's no wonder the city has grown consistently over the past decade, even during the heart of the economic downturn. As the city moves forward into the future, this growth is expected to continue. Those who make the move to charlotte can enjoy the ride! This article was contributed by The VUE, which is one of the most desired places to live in uptown Charlotte because of their upscale amenities, luxury apartments, and ideal location to Charlotte’s active nightlife. 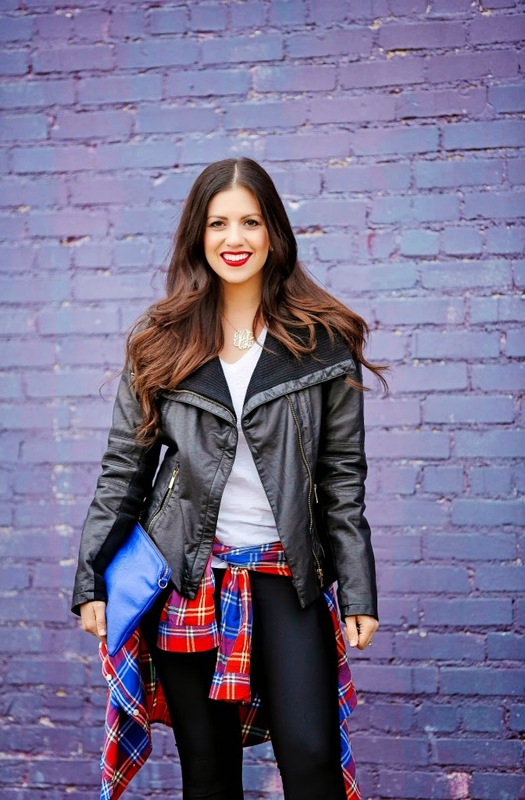 Favorite bloggers of 2014: Collegiate Bloggers. Welcome to part two (of four) of my favorite bloggers of 2014 series! 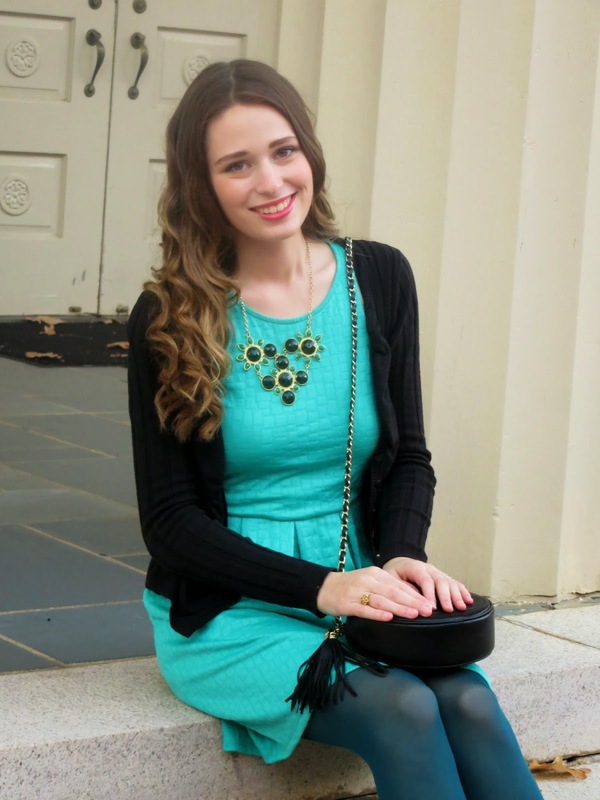 (Be sure to check out my first post, my favorite Charlotte bloggers, if you haven't yet!) 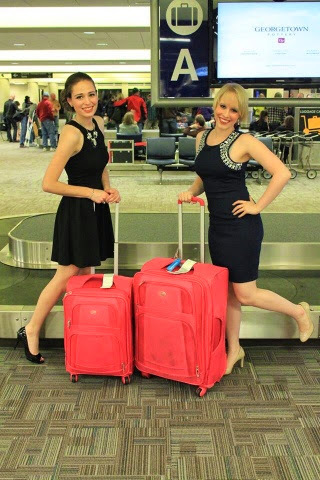 Today I am highlighting my favorite lifestyle and fashion bloggers who like myself are fellow collegiates. I know firsthand that it takes a lot to be able to maintain a blog full-time and to also be a college student with a major, minor(s), and to be involved in activities at school (plus possibly keeping a part-time job on the side!). 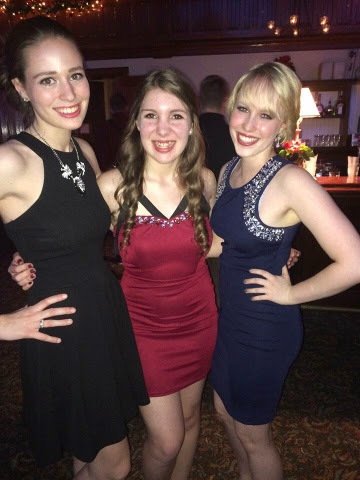 So props to these ladies for being able to keep up amazing blogs at the same time as being students. You all inspire me, and I am consider myself blessed to have found all of you through the blogging world! Rachel also has the most amazing preppy style! 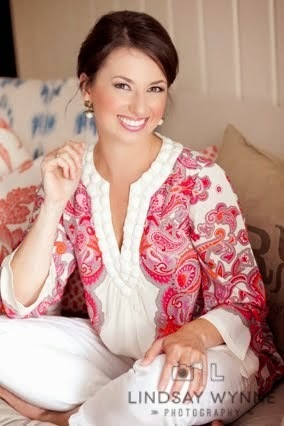 Her Lilly Pulizter collection is to die for- if you are a Lilly, Tory Burch or J. Crew fan, her blog is for you! Out of all of the bloggers in this list, Michaela from The Shore Life According to M and I probably have the most in common! I found her blog around the same time that I found Rachel's blog during my freshman year of college. Both Michala and I are Northern girls who ended up transferring colleges after our first year. 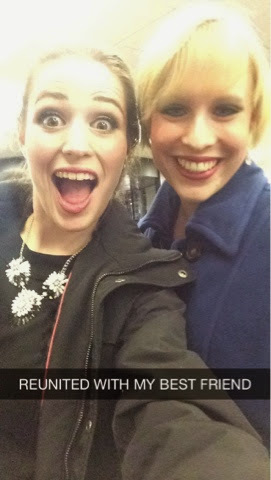 Both of us had a difficult time transitioning at first, but things turned out well in the end for each of us! We both went through sorority recruitment at the same time, and both of us ended up choosing Alpha Delta Pi! And lastly, both of us took on leadership positions in ADPi last year (Michaela as Membership Education Vice President of her chapter, and myself as chaplain). I am so proud of Michaela as this year she is serving as her sorority's president!! (Side note: I am chaplain of my chapter of ADPi again!) I am so lucky to have found someone in the blogging world who shared so many of the same things that I went through over the past couple of years. Michaela hasn't been blogging as much over the past semester because she has a schedule that's even busier than mine- but I miss her regular posts! Kriselle from Livin' and Lovin' is one of the most kind-hearted bloggers that I have had the privilege of getting to know! I have been featured on her sponsors page a couple times (most recently here! ), and she always has the kindest things to say about me and my blog. Kriselle and I are also both active members in the Her Campus Blogging Network (she is actually a moderator for their Facebook group!). 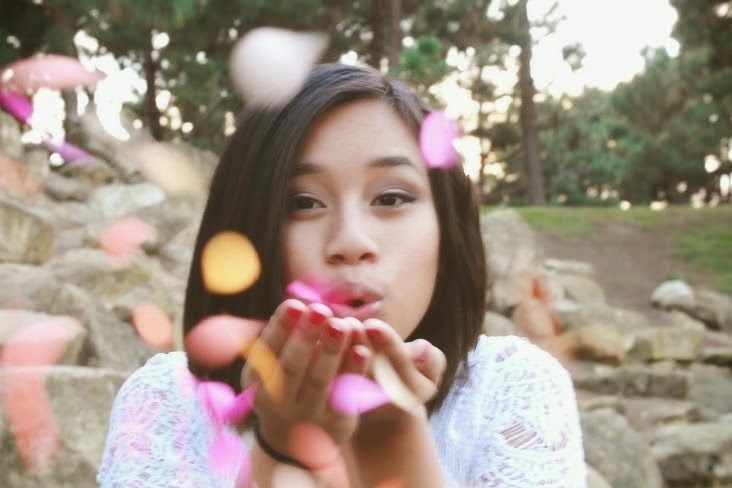 Kriselle is a fellow Christian, and I love how she is able to incorporate her faith so beautifully into her blog. Her blog isn't persay a "faith blog," but she isn't shy at all about sharing about her faith in the Lord and whenever she ties it into her posts it just fits so well! That is exactly what I try to do with sharing my faith through my fashion and lifestyle posts here on my blog, and I hope I'm able to do as good of a job as her. I also love how Kriselle has a nice mix of lifestyle and fashion posts- you just never know what she's going to post about on her blog and it keeps things interesting for readers! Michaela from The Monogrammed Midwesterner is the second Michaela in this list, haha! Anyways, can she and I just be best friends already?! I know that we would be absolutely perfect BFFs- it just makes me so sad that she is in the Midwest and I am in the South (hence our blog names...). Michaela's blog reminds me so much of my own! She shares a lot of outfit posts, with a few life updates and some fun recipe posts mixed in as well. 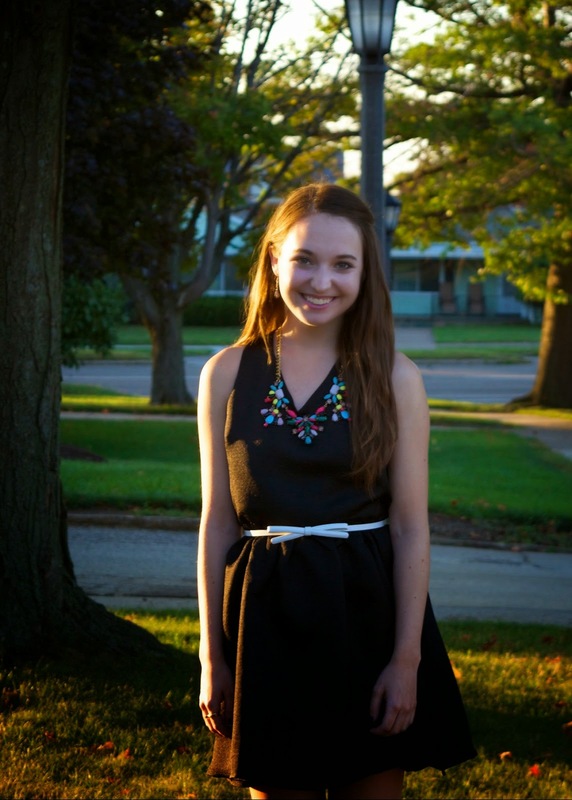 She just started her blog this summer and I cannot believe how much it has already grown! We did a fashion collaboration post together back in October so be sure to check that out if you haven't yet! 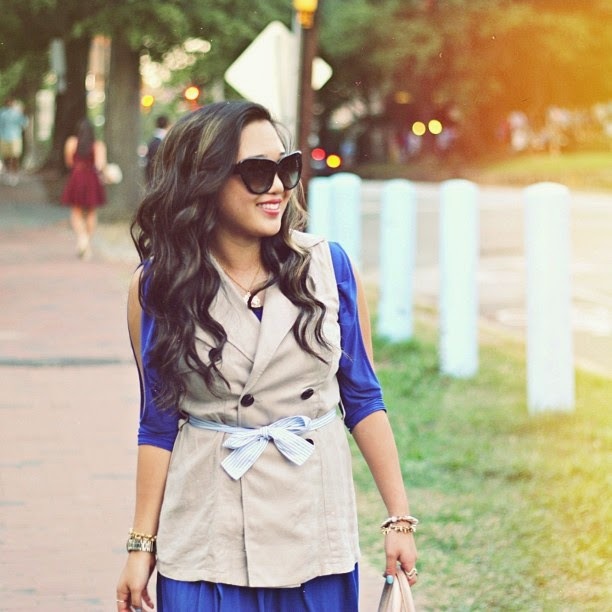 Grace from Gracefullee Made has the most amazing style of any college student I've ever seen. This girl can mix and match different things together that I would never even think to pair together and make them look amazing. I am convinced that chic is her middle name! 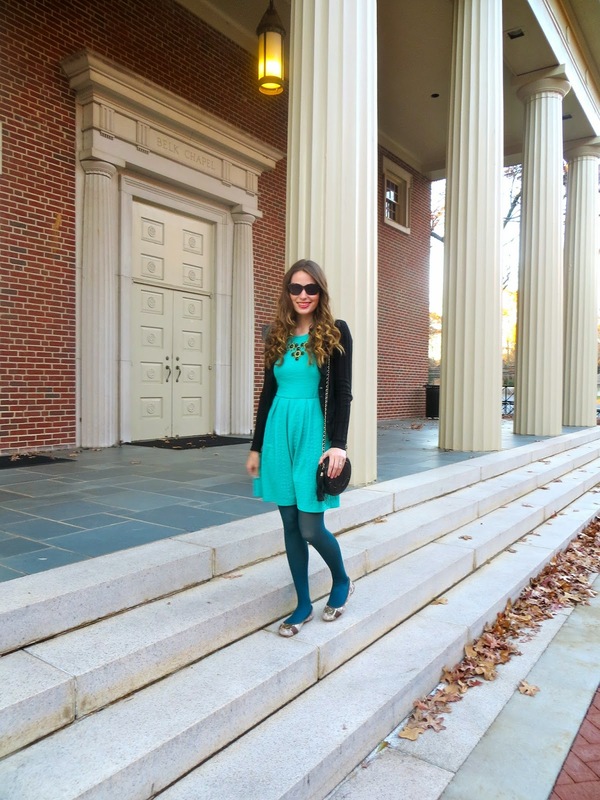 Grace is definitely my favorite collegiate fashion blogger. Grace is a fellow North Carolina blogger (whooo NC bloggers!) and I hope that I get the chance to meet her at some point during my time in the Carolinas! 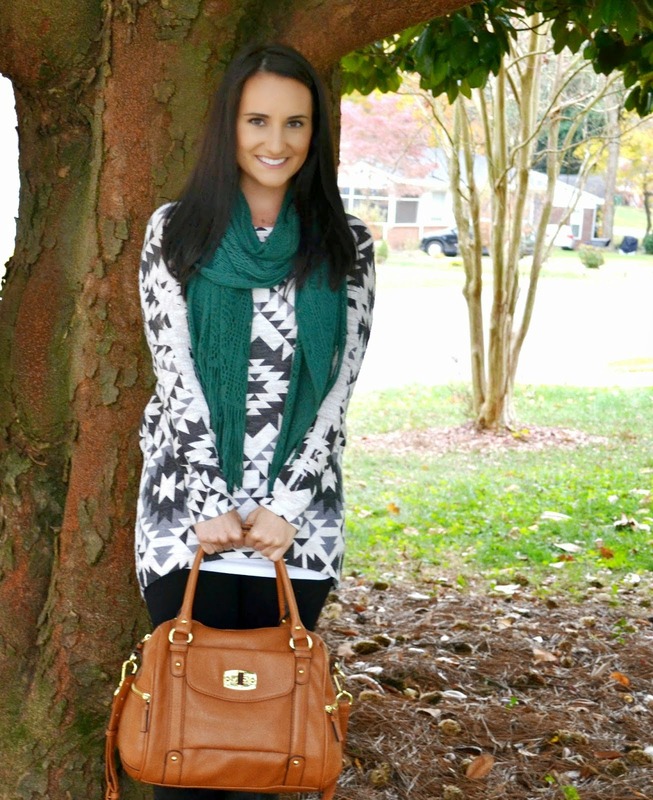 Cara from Caralina Style is a blogger that I actually found through Instagram! Be sure to follow her adorable account @cara_194. She has an equally wonderful blog where she shares her school and internship OOTDs, and other life and style posts. I just love her cute and preppy style! Cara is the opposite of me in that she is a Southern girl going to college up North. She is always at home in NC when I am back home in Maine, but I hope that sometime soon our paths can cross so that we can finally get the chance to meet! I love this girl! Gina is the closest thing that I have to a real life blog bestie (as in someone that I met through blogging and then became real life friends with). She is hands down one of the most genuine people that I have come across in the blogging world, and her faith in Jesus just shines through her blog! Gina is also a talented graphic designer who is starting to establish her blog design business (and she will be giving my blog a make-over soon- so excited for this!). 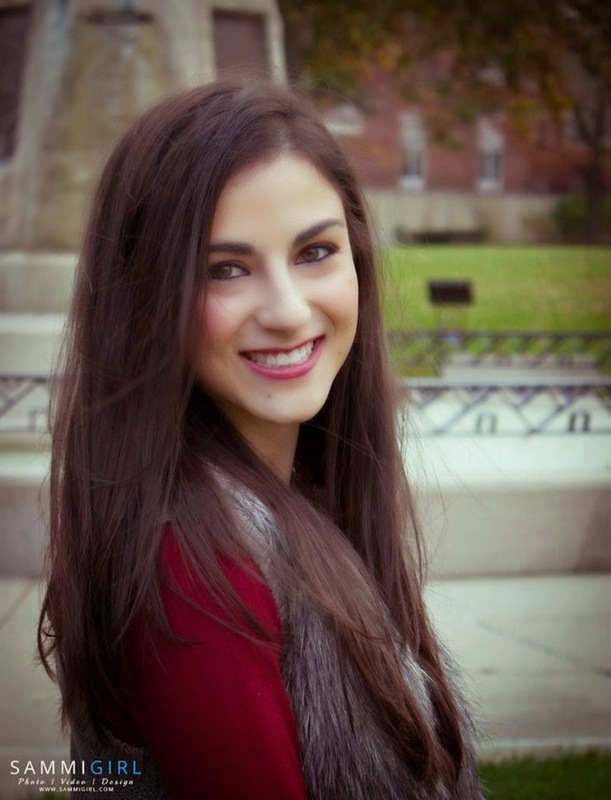 Gina is a lifestyle blogger who blogs about everything from college life to faith to travel. 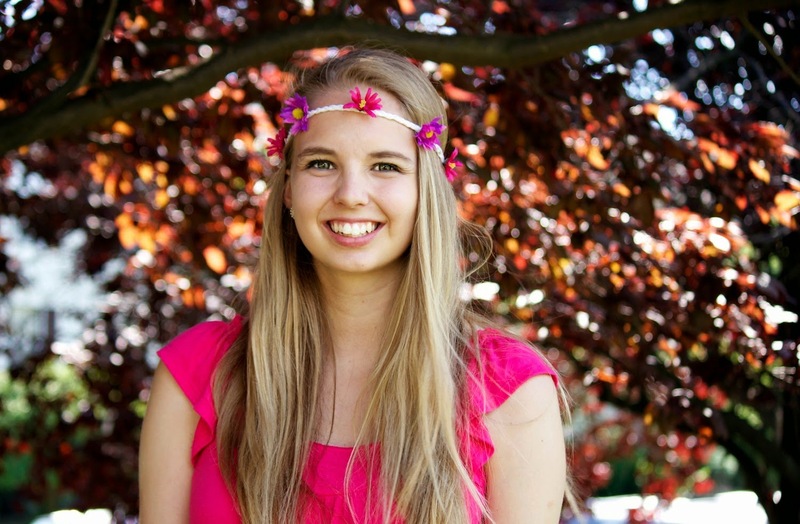 She studied abroad in Europe last year and frequently writes about her amazing experiences there. Gina's writings help me to see the world around me in new ways, and that to me is the sign of a truly great blog! I have had the pleasure of getting to meet Gina in September 2013 when I visited her at her college for the day (which is about two hours from Charlotte). I can't wait until the next time that we can meet up again! So those are my eight favorite collegiate bloggers! Do you follow any of these wonderful ladies? Or do you have a favorite collegiate blogger that I'm not following? If so then please share the link to their blog in the comments! 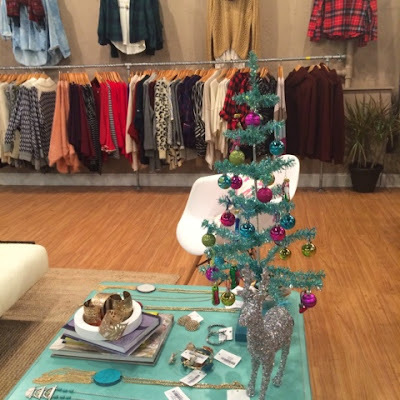 Favorite bloggers of 2014: Charlotte Bloggers. I wanted to highlight all of my favorite bloggers for a few reasons! First and foremost, because I am amazed at the types of great friendships that can come out of meeting bloggers. It's crazy to tell people that I met some of my friends online, but it really is the truth! Bloggers are such incredible people, and I feel blessed to have gotten to meet so many of my favorite bloggers in the past couple of years. I hope to continue to get to meet many more bloggers in the next few years and to only strengthen the blogger friendships that I already have! Secondly, reading blogs has been perhaps an even bigger part of my life recently then it has been at other times during my blogging career. During this past semester I haven't had the time to blog as much as I wanted, or even comment on my favorite bloggers' posts as much as I wished, but I certainly read! Every weekday morning I set my alarm a few minutes earlier then needed so that I have time to grab my phone, climb back into bed, and read blogs on my Blog Lovin' app. It's a great way to help myself wake up in the morning, and nothing makes me happier then starting my day by reading all of my favorite blogs. If any of you have been in the blogging world for any length of time then I'm sure that you're no stranger to either Caitlin's fantastic blog or her swoon-worthy Instagram account (@cmcoving). This girl is pretty much both blog and Insta-famous- and well, well deserving in my opinion. The quality of Caitlin's blog posts and photos are absolutely superb. 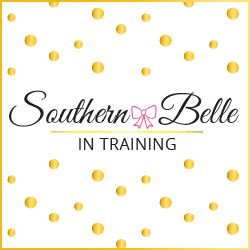 Her blog is an absolute inspiration to me, and I can only hope that my little corner of the internet will be something like Southern Curls and Pearls someday! Melissa from Simply Sweet Melissa is one of my favorite lifestyle bloggers in all of the blogging world- and it just so happens that she lives in Charlotte! I love Melissa's blog for so many reasons, but first and foremost because her writing style has a realness to it. There are a lot of bloggers in the blogging world that I feel often try to become something that they're not to gain followers or to attract a certain audience, but you never get that feeling with her posts. Melissa is always genuine on her blog, and I love the person that she is! She is as sweet and Southern as they come. And I think that a large part of that is from her faith! She's very open about her Christian faith on her blog and I love that and find it very inspiring! April from A. Liz Adventures is another Charlotte lifestyle blogger, and I just got into reading her blog a few months ago (and goodness I'm glad I did!). Have you ever found a blog that just makes you smile everytime you read it? That's April's blog for me! April describes her blog as being "A smidge of this, a smidge of that" and I think that's a perfect description. 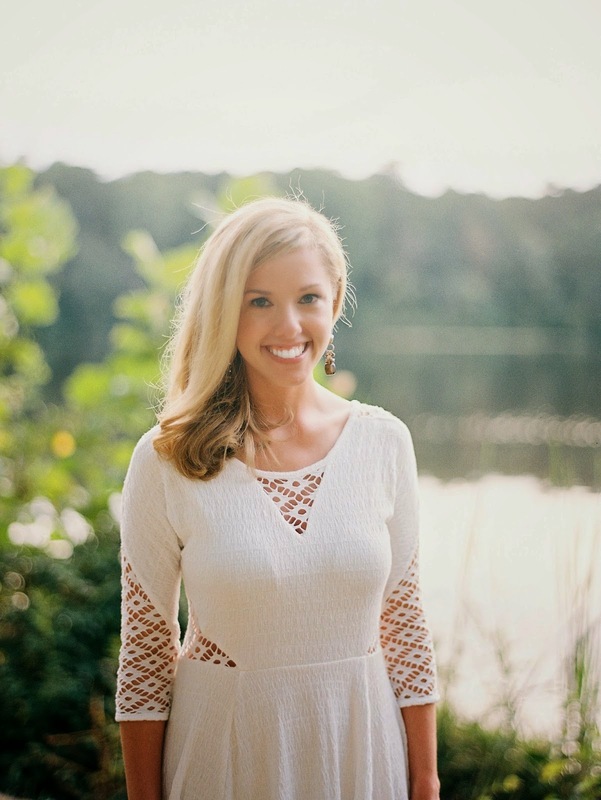 She truly blogs about everything: her favorite recipes, fashion items she's loving, travel, Charlotte happenings, and of course updates all about her sweet family! April and her husband welcomed their sweet baby girl earlier this year and she is the most precious thing ever. (If you need a babysitter... I'm in Charlotte.... ;-) ) I love the fact about how you just never know what her post of the day is going to be about, but everything that she writes about is enjoyable to read! 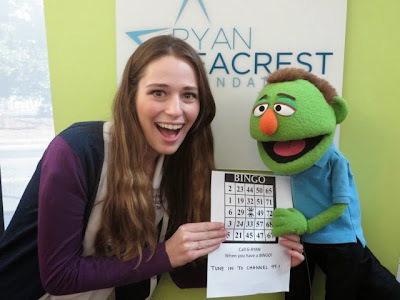 I hope that my blog has the same postivity and fun in each post as April's blog! I just love this girl! 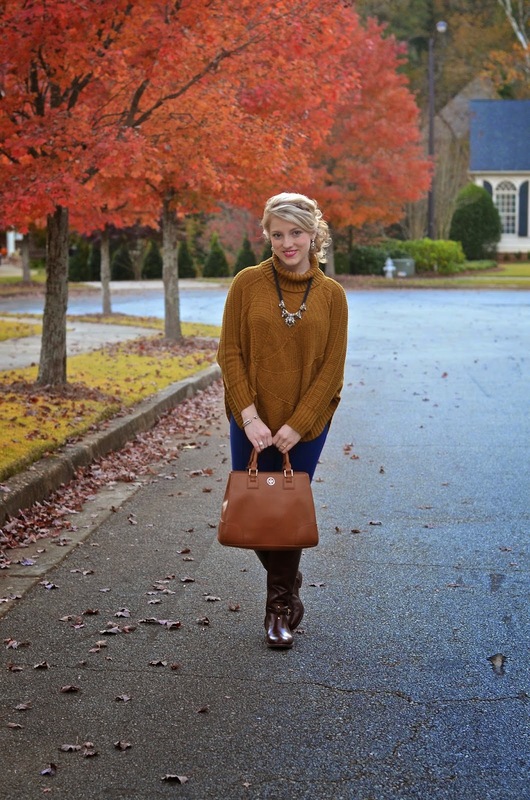 Kristin is a fellow collegiate fashion blogger living in Charlotte. She and her friend Janet co-run the fashion blog Gwen and Taylor and are doing an amazing job at it! (I love both of their styles and they always post such great outfits.) Kristin is one of the friendliest bloggers that I have ever met, and everytime that we have met up I always have a wonderful time. It's always so great to get to talk blogging with another girl who is the same age as me and has a blog of a similar size and focus. 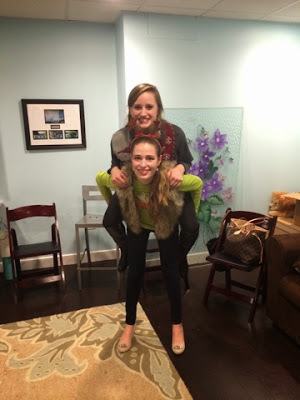 I am thankful for Kristin's friendship and hope that we can spend more time together next year! 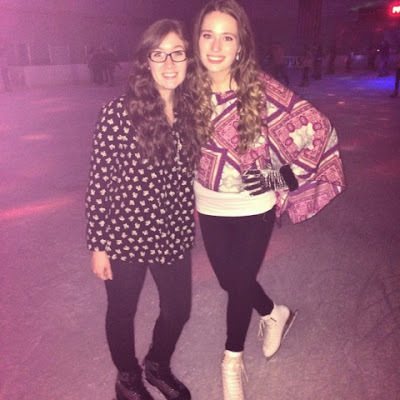 I first met Morgan at a blogging event back in September, and I'm so glad that we got to meet! 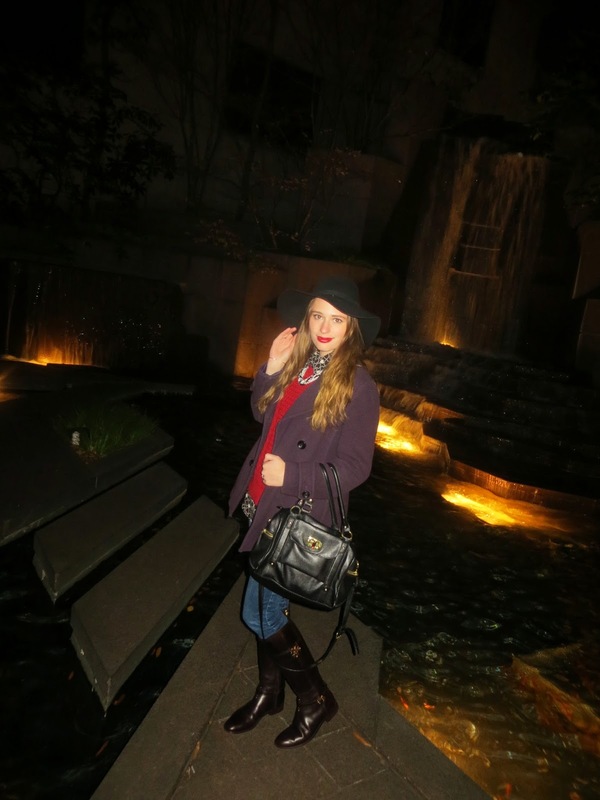 Morgan has a fashion blog and has an awesome sense of style that is perfect for the working girl. Like many of the other bloggers that I've featured so far in this post, her blog definitely has a "realness" to it that I appreciate. Morgan also always leaves the sweetest comments on many of my blog posts, and that always makes my day! I wasn't able this semester to comment on as many blog posts as I would have liked, so it always made me smile when a blogger that I follow took the time anyways to leave a kind comment on a post of mine. 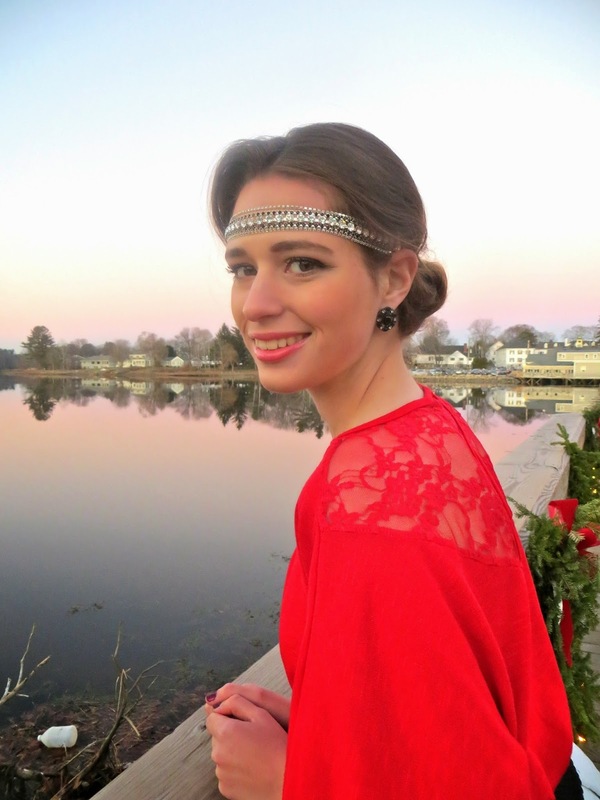 Jaime's fashion blog and style are simply fabulous. I love how she isn't afraid to try styles or looks that are very bold, girly or glam (things that I am not afraid to do!). And let me tell you- if you aren't following her on Instagram (@jaime_cittadino) then you are missing out on her pictures of her insane closet! Coming from a girl who technically doesn't even have a real closet in her dorm room this year (an "armoire" thing so doesn't count...) I always have major envy whenever I look at her amazing Instagram photos! And just like fellow Charlotte blogger April, Jaime also is a new mom and had a sweet little baby girl in 2014! Bri is a fashion and lifestyle blogger at Just Bri, and she is also the founder of The Charlotte Social (Charlotte's blogging network), which I think is super cool! Bri came to Charlotte from out-of-state to attend college, and ended up staying in the city after school. I also came to Charlotte from out-of-state for school, and would love to stay there after college if I'm able to find work in my field, so I can relate to that a lot! 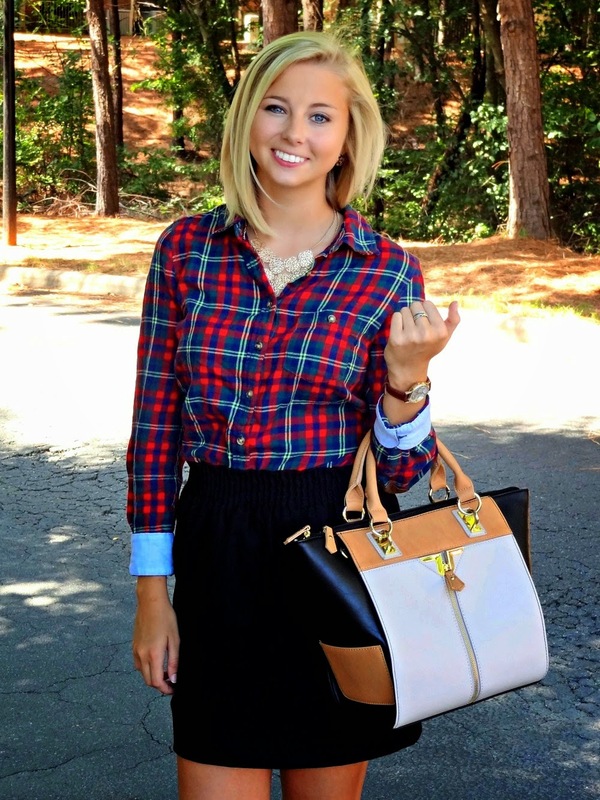 Bri's fashion posts feature outfits perfect for casual wear and work attire, and I love her lifestyle posts as well. One of her posts from earlier this year, titled "The Man at Waffle House," was literally one of the most touching blog posts that I have ever read and it almost made me cry! Alyssa from Lessons With A is just the cutest thing ever! She works as a teacher, and she is definitely one of the most stylish teachers that I have ever seen! Her blog is a wonderful mix of fashion and lifestyle. She also just became a fur mom to an adorable little puppy! I believe that Alyssa is the only blogger in this post who I haven't met at a blogging event or elsewhere, but I would love to meet her. So those are my eight picks for my favorite Charlotte bloggers! Do you follow any of these wonderful ladies? Stay tuned next week for my favorite collegiate bloggers, and then my favorite other lifestyle and fashion bloggers! 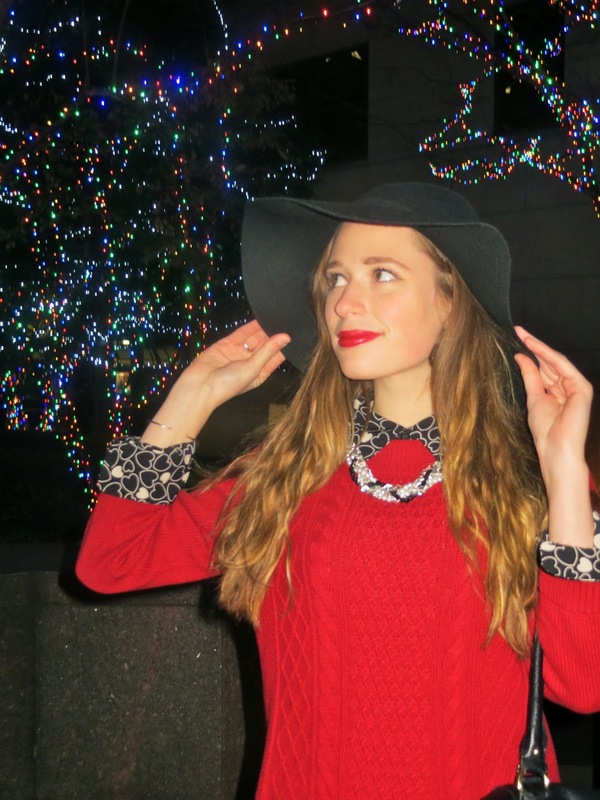 OOTD + Giveaway: Holiday Party Style with Dauphines of New York. I have always had a thing for beautiful hair accessories. When I was in elementary and middle school, I always had super long, straight hair. (My hair was naturally pin staright until I permed it during my freshman year of college!) I would always try and keep my hair out of my face or to add a little something to my outfits with different headbands and hair clips. As I got older, my taste in hair accessories got a bit more mature, but I still love anything sparkly and glam to add a fun touch to my hair-dos. So when Dauphines of New York, makers of luxury hair accessories, reached out to me about doing a collaboration and giveaway on my blog, of course I said yes! I learned that Dauphines of New York just launched an exclusive collection of gorgeous headbands that are only being sold at Sephora.com (both in store and online!). Each headband is created on a comfortable (and adjustable!) elastic band, and is designed with beautiful crystals and semi-precious stones. The headband that I was sent to style was Screen Siren. I absolutely love the combo of the black stones against the beautiful clear crystals. Such a gorgeous color combo for winter fashion and especially for planning holiday and New Years outfits! There are lots of ways to wear your Dauphines of New York headband with your hair down, but I was able to create this easy up-do by simply rolling and tucking my hair into the elastic band, and then tucking in a few loose stray pieces into the bottom with bobby pins. This look was so easy to create and stayed up all day! My hair is very thick and can be difficult to hold up at times, so that shows how powerful the elastic band is on these handbands (yet they're still very comfortable to wear!). 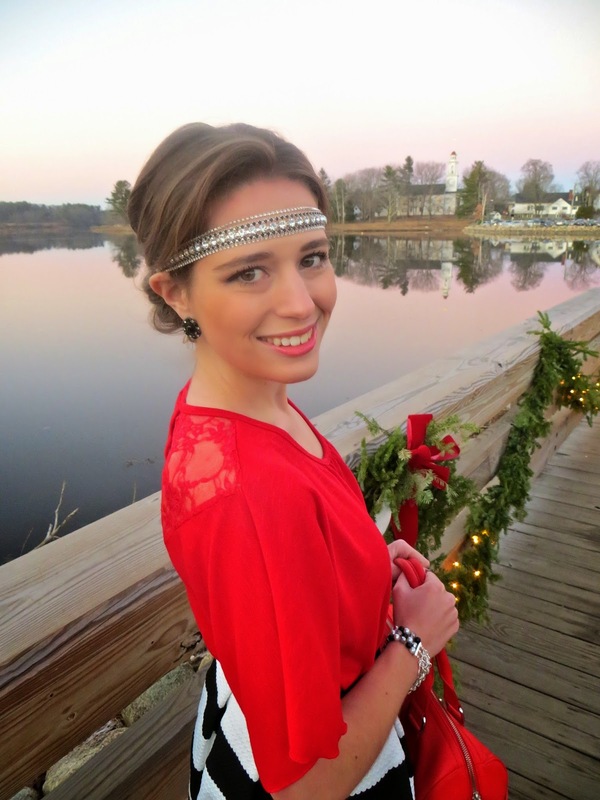 I'm so happy that I got the chance to style a Dauphines of New York headband! Dauphines of New York has been so kind as to sponsor a giveaway here on my blog! They're giving away one headband from their Sephora exclusive collection. This giveaway will run until Thursday, December 25th, 2014 (that's Christmas!). 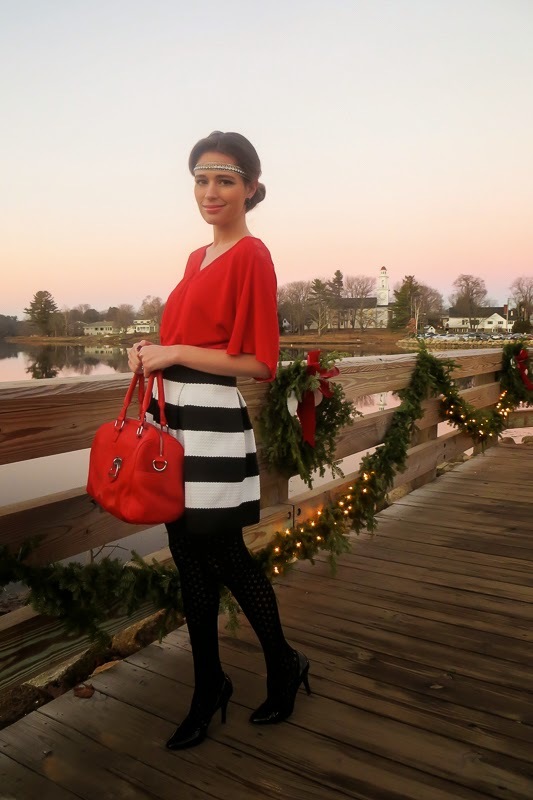 A quick few notes about the rest of my outfit: I am still obsessed over this striped skirt from Target! 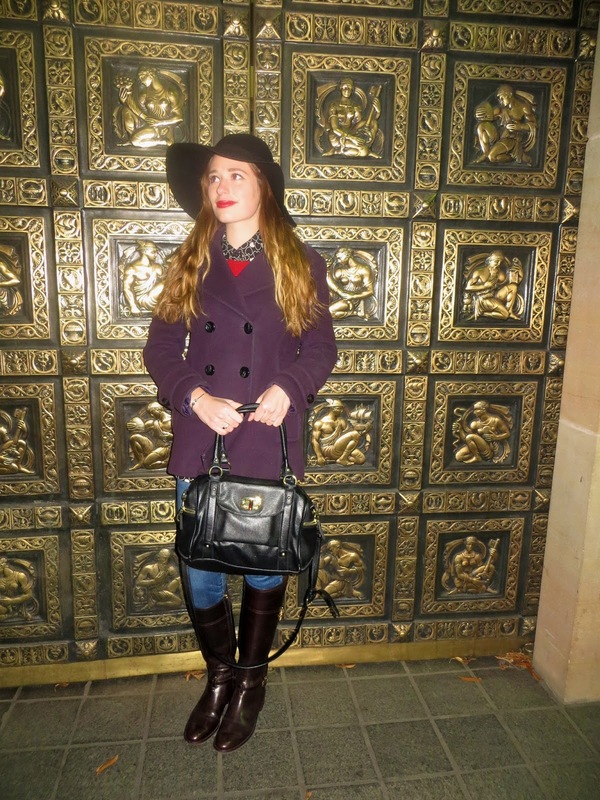 I wore it in an earlier OOTD post this fall (found here). On a different note, I rarely wear a lot of red. I am not a huge fan of red lipstick on myself, and don't wear the color a lot in clothing. But during the month of December, all of the red that I have seems to magically appear out of my closet! Nothing gets me in the holiday spirit like wearing things that are a cheery bright red. 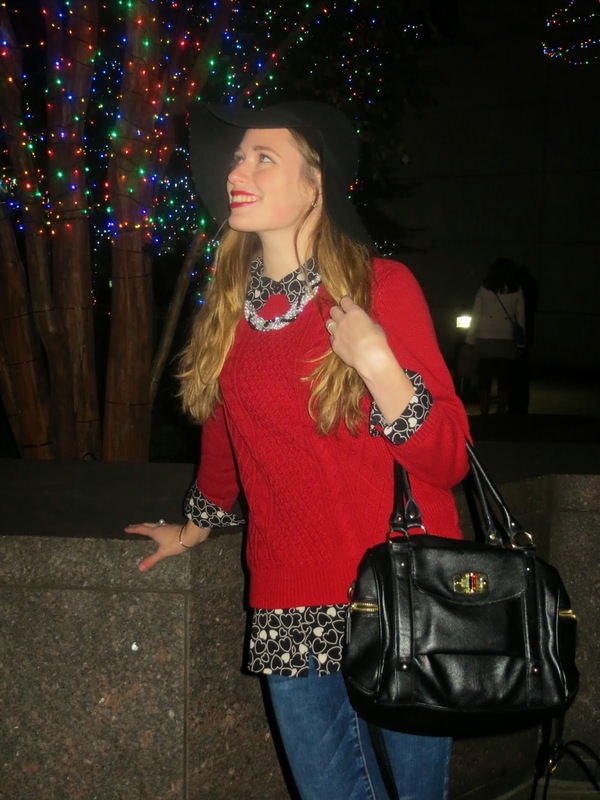 I bought the top that I am wearing in this post at Macy's a couple seasons ago, and remains one of my favorite tops to wear during the holiday season! I love the flowing sleeves and the beautiful detailing on the back. Be sure to enter the giveaway below to win your own Dauphines of New York headband! And I have linked similar outfit pieces to what I am wearing in this post. (My Crazy) Life Lately via iPhone. Why hello there! Long time, no blog! I am so thankful to say that my first semester of junior year is finally over! In many ways this was a difficult semester. It definitely had its good moments, but it also brought a lot of new challenges and I am thankful to be on Winter Break at last! I feel like since Thanksgiving I haven't had time to stop and breath at all. I can't even remember how much I blogged about this, but I spent Thanksgiving at school this past year instead of coming home to Maine since I had a very short vacation that week and knew that I was coming home for a full month for Winter Break. The two weeks after Thanksgiving were literally hell for me with school. I have never had so many final assignments due or such tough exams! And I had so much else going on as well. I thought that I would do a little picture recap via my iPhone to show y'all what I have been up to over the last few weeks- right up through this weekend when I came home. Another thing that wrapped up for the semester a couple of weeks ago were sorority events and chapter meetings. Here is me and Julie, my Little, and ADPi's annual tacky sweater Christmas party! Separate from sorority events, the end of fall semester brings several events that are unique to my college. I go to a small private university, and my college has lots of holiday traditions that happen each year after Thanksgiving and before Christmas Break. This year I tried to attend as many as I could between exams and homework! 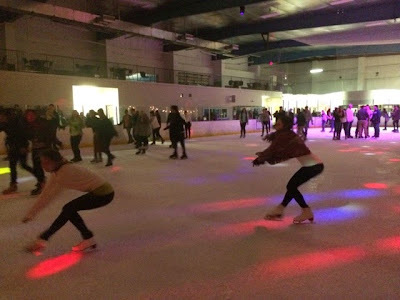 My favorite annual holiday event is when my school rents out a local ice skating rink on the night that classes end of the semester. A fun fact about me is that I grew up as a competitive figure skater. :-) I bring my old skates to school ever year for this event and it's a chance for me to pull out the ol' moves! 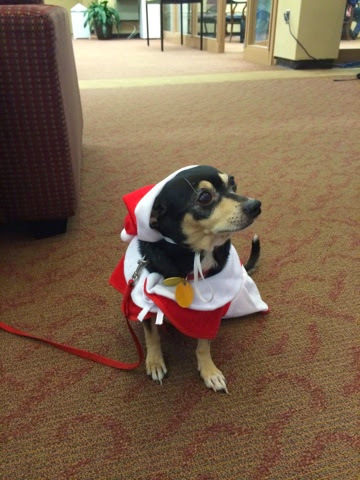 Props to my college for inviting cute puppies in holiday outfits to visit the library during exams week to cheer up studying students (like myself!). This cutie was named Paco and I couldn't get enough of him and his little Santa suit! 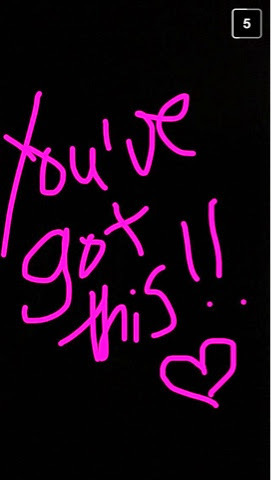 Sweet snapchats of encouragement for finals week from my bestie Katie (who I couldn't WAIT to see as soon as I got home- more on that in a sec!). 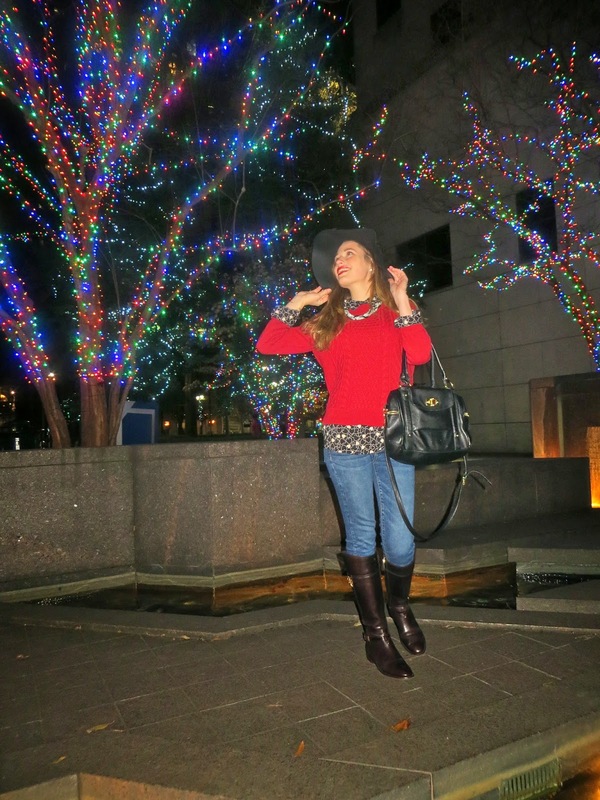 OOTD: It's Christmastime in the City. This past weekend my main goal was to study hard for my final exams. I ended up however taking a long study break on Sunday evening, because my friend Jessica was in town! I met Jessica last spring through my amazing internship with the Ryan Seacrest Foundation. I love my internship for so many reasons, but one of the reasons is the amazing people that I get to intern with! Jessica graduated from my college in May, and has since moved out-of-state, but she was in Charlotte visiting over the weekend. 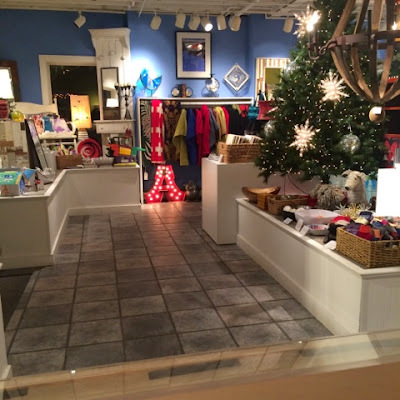 We went to dinner in Uptown Charlotte at one of my favorite restaurants, and then before heading out of the Center City area I suggested that we walk around a few blocks and explore the Christmas decorations. I don't go into the Uptown Charlotte area very often (this is where Charlotte's skyscrapers are)- I'm usually only there to go out to dinner once in awhile or occasionally to go out for a night on the town with college friends, but I rarely take the time just to walk around and take everything in. I'm so glad that we did! There was a huge beautiful Christmas tree right in the center of Uptown, and then we found these gorgeous light covered trees that I took these pictures in front of. Not pictured are some gorgeous fountains as well. Many of the buildings also had festive wreaths and indoor Christmas trees that could also be seen from the street. 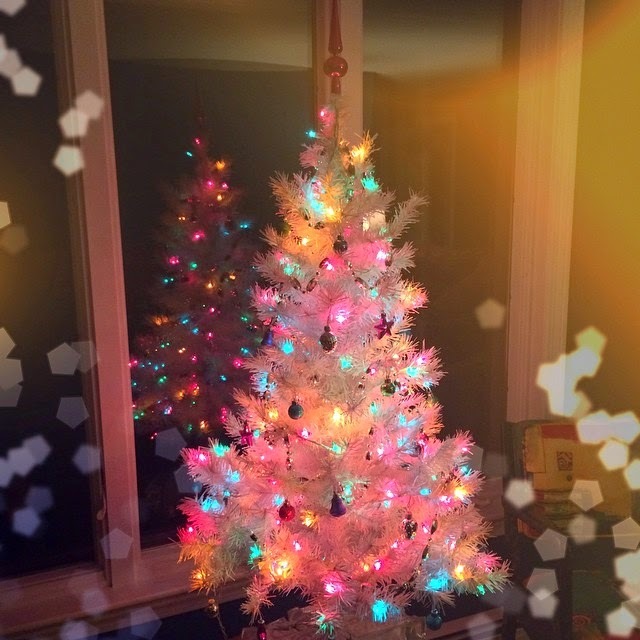 I haven't really allowed myself yet to enjoy much of the Christmas season since I have had such a stressful past few weeks of school. I'm planning to really dive into the Christmas festivities once I arrive home in Maine this weekend- but it was nice to take an evening to see how my favorite Southern city celebrates Christmas. I forgot to add that it was a chilly night! I decided to layer up and I'm so glad that I did. This Tablots sweater is perfect for staying comfy, cozy, and festive since it's such a cheery bright red! I got a few Talbots sweaters last December before my family traveled to the UK for our vacation for last Christmas, but I'm sure that Talbots has more great sweaters this year as well. 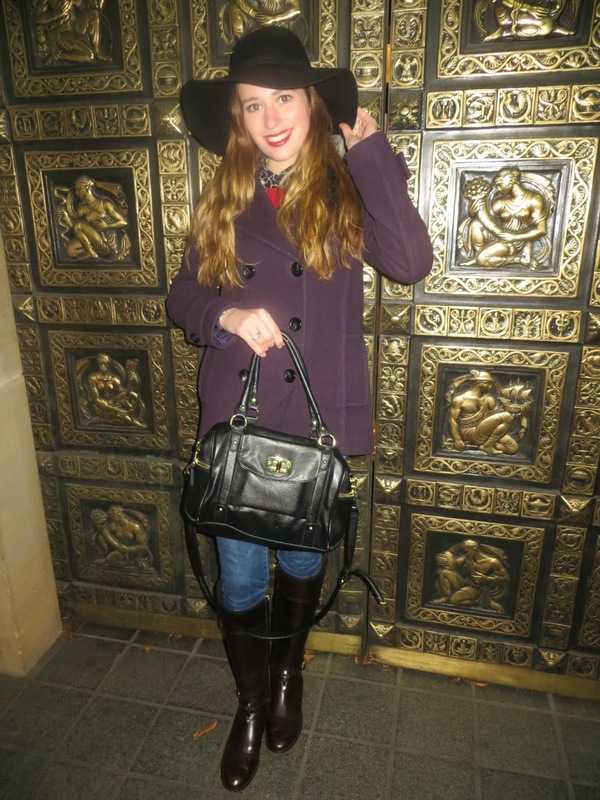 And I picked up this fun black hat at Forever 21 on Black Friday this year! I had been looking for a hat like that for awhile and Forever 21 had the cheapest one that I could find. I can't wait to style it even more later in the season. Here's to me survining the rest of my exams this week! The end is near- and I have a very busy and exciting first weekend back at home coming up. :-) Good luck to any other college students reading this who also have exams this week! It's that time of the year again: textbook shopping with CampusBookRentals.com! Anyways, as all college students know, the end of one semester means that it's already time to start thinking ahead and looking at books for next semester! You definitely don't want to be that student who gets back to school during the first week and can't get a copy of a textbook because the campus bookstore and many only retailers are sold out of a book (or have raised prices!). The campus bookstore is almost always the most expensive place to get a book, so I generally try to avoid shopping for textbooks there if I can. I am a huge fan of renting books. It is such a pain to try and sell books back at the end of a semester (and I don't think I've ever really made my money's worth back), so renting and then mailing them back after finals is easy and works so well for me! You will save 40-90% off of bookstore prices. They offer free shipping both ways. They have flexible renting periods. CampusBookRentals.com makes a charitable donation to Operation Smile with each textbook rented- so you can feel good about choosing to rent with them! Lastly, I wanted to share a personal experience that I had with CampusBookRentails.com. Last semester after writing my blog post for them, I ordered a textbook through them for one of my communications classes. My college posts all of the required books for each class through the bookstore a few weeks before each semester starts, so I always log on there to get my book list, and then I copy and paste the ISBN numbers to websites like CampusBookRentals.com to find my books. I did exactly this last semester, and got the correct communications book in the mail from CampusBookRentals. But then I showed up to class on the first day.... and discovered that my school bookstore had posted the wrong book, so therefore I had rented the wrong book! My teacher didn't seem that worried about it at all, and just said to go to the school bookstore and inform them that it was there mistake. But I was freaking out since I had used CampusBookRentals.com and not the school bookstore. It wasn't the fault of CampusBookRenatls at all, it was clearly the fault of my school bookstore, but neither could do much about it! Anyways, I quickly called CampusBookRentals, explained the situation, and they were so helpful! (Did I also mention that I got to talk to a real person on the phone and not an automated voicemail? LOVE that!) They said they totally understood the situation, and even though they were not at fault (it was all the fault of my college bookstore), they quickly put the correct book in the mail to me and let me return the book I had originally gotten without any extra fees. How awesome is that?! Don't forget to enter the giveaway for a $25 Amazon gift card that ends this Wednesday! TGIF! Goodness does it feel good to say that! This has been the busiest school week of my entire life, no lie! And the sad thing is it isn't even final exams week yet (that is next week). I have barely gotten any sleep this week or even felt like I have had any time to breath between every assignment that I have had to submit. This weekend I have a lot of studying to do, but I am excited to be able to catch up on sleep and to start packing for my Christmas break at home in Maine! I can't believe that I will be home in a week. This semester was stressful but went by so quickly! Anyways, this was my outfit for church last weekend! This dress from Francesca's is one of my favorite summer sundresses, but one of my favorite things fashion-wise to do is to try and take my favorite spring and summer pieces and transform them into fall and winter ready outfits. 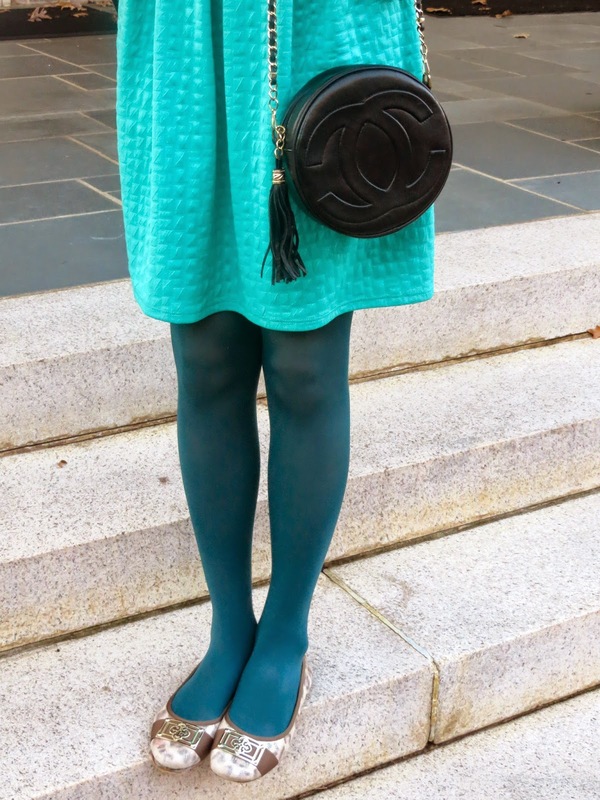 These dark green tights and the coordinating statement necklace add a perfect pop of a darker holiday appropriate green, and I decided to pull out one of my most prizes possessions, my vintage Chanel purse, to finish the outfit! Do you ever turn spring and summer clothes into fall and winter outfits?? Don't forget to enter the $25 Amazon.com gift card giveaway from Wednesday's blog post!